Khalilah Smith, 2018 MIss Michigan State Rodeo Queen, talks about the process to participate in the MSU Rodeo Pagent and the upcoming Spartan Stampede. For more information, please visit www.msurodeoclub.com or by calling 248-633-3949. WSYM —Khalilah Smith, 2018 MIss Michigan State Rodeo Queen, talks about the process to participate in the MSU Rodeo Pagent and the upcoming Spartan Stampede. 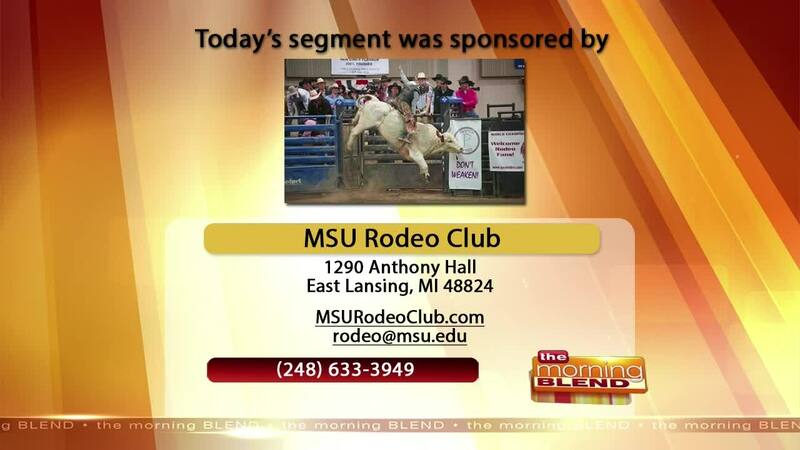 For more information, please visit www.msurodeoclub.com or by calling 248-633-3949.